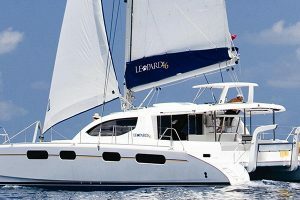 Our catamarans all have four double cabins with en-suite bathrooms (shower, hot water and toilet), spacious cockpits and cozy lounges, as well as large decks to facilitate your movement and other relaxing moments. 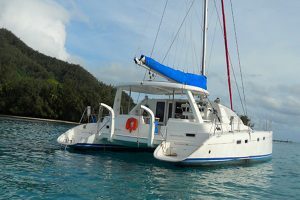 Extremely stable to avoid seasickness, they are particularly suitable for cruising as they are navigable in shallow waters for anchorage as close to the beach as possible. 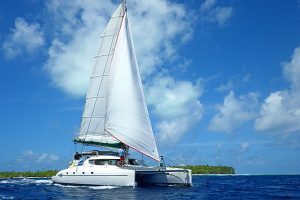 Already possessing all the comforts for a cruise in the best conditions, we are also at your disposal to bring any additional and personalised equipment on board. a stay as close as possible to your desires!